Abstract—This paper aims for a new structure that can achieve walking by kinematic solutions. The main contribution is having kinematic model of a biped and makes it to have step on open loop form. The paper takes the 5-DOF leg, uses Denavit-Hartenberg convention to obtain forward kinematic models, uses Jacobian matrix to obtain inverse kinematic models. Uses a switching mode models, and switching gaits for tip points and center of gravity. The models and gaits switch by changing support and swing foots. Models are divided into four different models and when models switch two models become active. Using two models gives chance to define two paths for biped, for one step and center of gravity can be controlled separately. By these solutions study aims to make biped to follow these paths. The simulation results from Matlab proved that tip points and center of gravity can make the aimed walking, so that by kinematic constraints stable dynamic walking can be achieved. Index Terms—Biped robot, forward kinematics, gait planning. The authors are with the Istanbul Technical University Electrical and Electronics Faculty, Maslak, 34469 Istanbul Turkey (e-mail: yilmazsabr@itu.edu.tr; gokasan@itu.edu.tr; sbogosyan@alaska.edu). 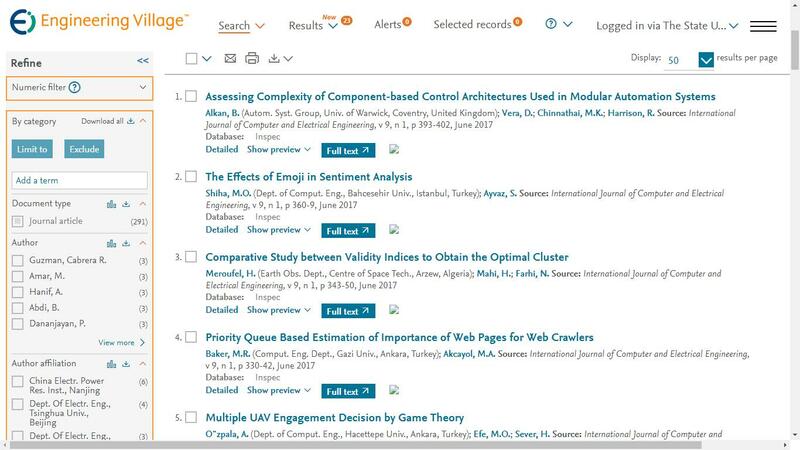 Cite:Sabri Yilmaz and Metin Gokasanand Seta Bogosyan, "Center of Gravity Based, Switching and Partial Modeled Gait Planning," International Journal of Computer and Electrical Engineering vol. 6, no.1, pp. 28-33, 2014.